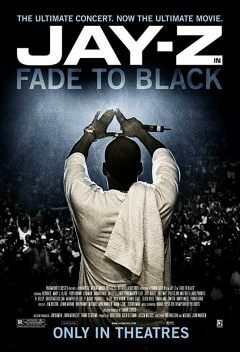 The next movie in our Hip-Hop History Movie Series with Alamo Drafthouse is Fade To Black. Set against Jay-Z’s 2003 sold out concert at Madison Square Garden (and threatened final performance before retirement), FADE TO BLACK explores Jay’s career, creative process, and the making of “The Black Album”, interspersed with performance of so many of his bangers – “Hard Knock Life”, “Crazy in Love”, etc. – thrown in. Includes cameos from Beyoncé, Mary J. Blige, P Diddy, Common, Dame Dash, Missy Elliott, Funkmaster Flex, Slick Rick, R. Kelly, Q-Tip, Usher, Rick Rubin,?uestlove, Timbaland, Kanye, Pharrell, Just Blaze, Memphis Bleek, Beanie Sigel, Freeway, and Ghostface. Join us after the movie in House of Wax for a special set of all Jay-Z songs to celebrate his birthday two days before!